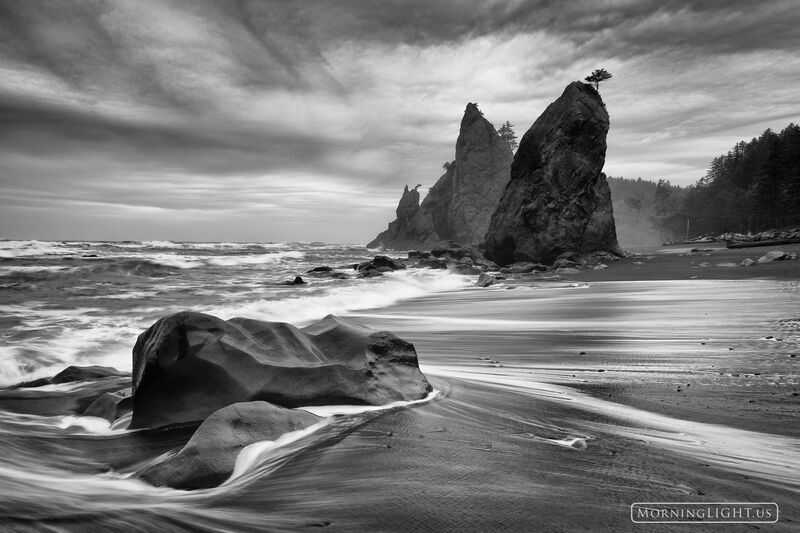 Rialto Beach in Olympic National Park is certainly one of my favorite locations in the entire park. On this evening the sky was overcast as a storm began rolling in. It seemed to be the perfect conditions for a bit of black and white photography. Photo © copyright by Erik Stensland.